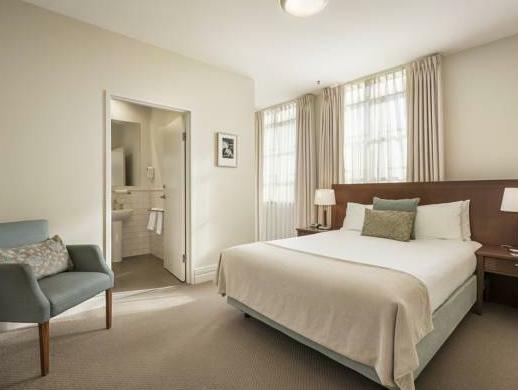 يقع Quest Launceston Hotel في Launceston City, لاونسيستون, هو خيار شائع بين المسافرين. إن موقعه الجيد الذي يبعد 1 km فقط عن مركز المدينة يساعد النزلاء على الاستمتاع بمعالم المدينة ونشاطاتها. بالنسبة لمن يريد الخروج، هذه بعض المعالم السياحية المتوفرة للزوار ‪The Old Umbrella Shop‬, Waverly Woolen Mills Factory Outlet, ‪The Town Clock‬. 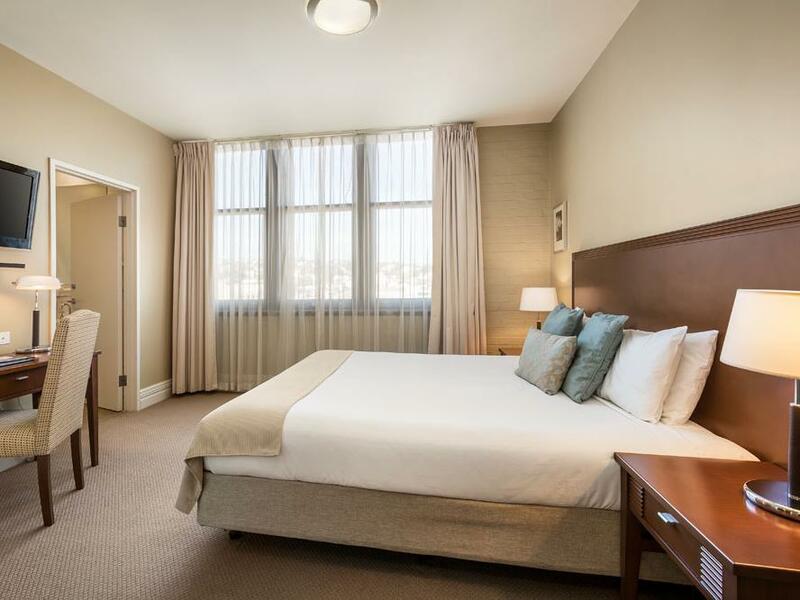 إن حسن الضيافة والخدمات الراقية التي تعرف بها Quest Serviced Apartments تغني تجربتك في Quest Launceston Hotel. يقدم الفندق فرصة للاستمتاع بشريحة واسعة من الخدمات بما فيها: واي فاي مجاني في جميع الغرف, مرافق مخصصة لذوي الاحتياجات الخاصة, تخزين الأمتعة, واي فاي في المناطق العامة, صف السيارات . بالإضافة لهذا,تتضمن كل غرف الضيوف مجموعة واسعة من وسائل الراحة . بعض الغرف توفر حتى تلفزيون بشاشة مسطحة, اتصال لاسلكي بالإنترنت, اتصال لاسلكي بشبكة الإنترنت (مجاني), غرف لغير المدخنين, مكيف هواء لإرضاء أكثر الضيوف تطلباً. كما أن مجموعة الخدمات الواسعة الموجودة في الفندق لضمان راحتك تترك لك الكثير من الخيارات لقضاء وقتك أثناء فترة إقامتك. 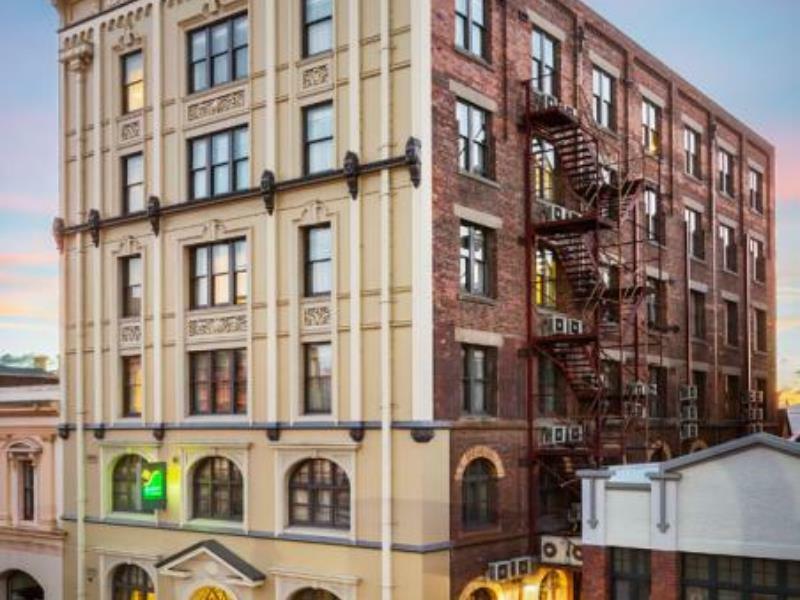 يشكل Quest Launceston Hotel بخدماته الراقية وموقعه الممتاز، قاعدة مثالية للاستمتاع بإقامتك في لاونسيستون. Parking is at another multi-storey carpark across the road. Crossing the road with your heavy luggage might be a chore for some. Carpark also closes early and opens late which limits access to your car or your lot. Overall this hotel is really good. The only problem was that the water was leaking from the air con and it was not fixed during our stay. So we did not use the air con, however, the weather was a bit cool so we were ok without it. We like the location the most as it is close to the car park and city centre. Best of all we could hear the bell charming from the clock tower nearby which was really cool and it made our stay memorable. I loved the 1 bedroom apt. The ambience, the furniture, the layout... It was a beautiful room. The bed was comfy and the location of the apt was suitable to accessing the restaurants and shops within the city. I especially like the cafe next to the hotel that provided great breakfast. Two complaints: 1. The walls of the hotel are thin so you can hear the noise from the street as well as the creak of the floors as other people are walking through the halls. 2. The price for a night at the this hotel is rather pricey. Having camped for a few days, it was a pleasure to arrive at the Quest for our final night. The front desk staff were super helpful with helping us understand the parking facilities. The room was spacious, clean and had a perfect little kitchen area which would have been great for those staying longer. Great shower! The kitchen condition, location, and the staff services are very good. I am enjoy the stay at Quest Launceston. It just the only thing, the room design need to be improve. It is because one of the room in the apartment are without window, therefore it make the room very warm. The location is good as it situates near the city centre. Staff was friendly and cheerful and they were ready to help. One of the nights during our stay, we activated the fire alarm in our room by mistake. Staff came up to our room as soon as possible and also comforted us. Their service really delighted us so much. Rooms were spacious and comfortable. Well equipped kitchen provided us opportunities to cook wonderful dinners. 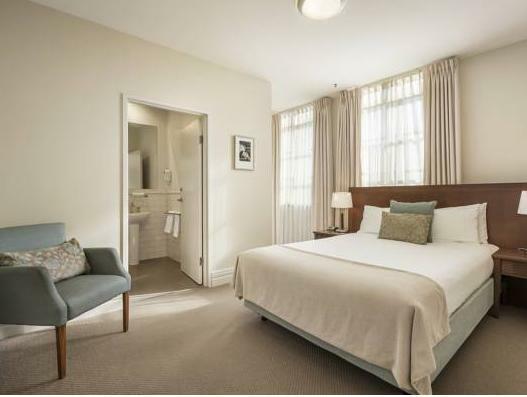 I would have no doubt to stay again in Quest Launceston Hotel when I visit Tasmania in the future. One more thing, free wifi is provided! 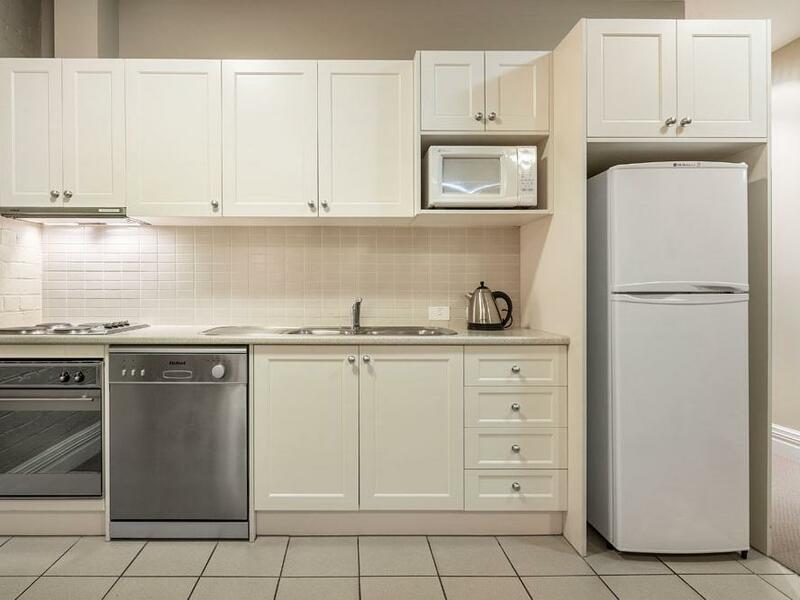 Big comfortable room with a well equipped kitchen. Toilet was spacious & came with both washer & dryer. Unfortunately because we were at one of the more corner rooms, wifi signal was rather weak & intermittent. Great location too, close to shopping & several great restaurants. If you are a light sleeper (oh well, I am not a light sleeper but still annoyed by the road noise), this will not be your top choice. The place won't get quiet until 2 am on weekends because drunk people are yelling on the street and noisy modified cars were looping the city URGHHHH. The air con was loud, the toilet fan system was noisy too. Moreover, you will run out hot water and have to wait for 1 or 2 hours for the system to reheat, not to mention my dad had a cold shower on a 13°C night. Even though the staff are friendly and nice, I am not going to stay here if I visit Lauceston next time. Quest Lauceston is perfectly located and the room and amenities were very very good. Staff on arrival were very friendly and helpful. Unfortunately the street noise at night was very loud and I had a very poor quality of sleep. Hence I would not recommend this hotel in spite of everything else receiving a big positive tick of approval. Manager went out of his way to help us find metho for our Overland hike on Christmas Day when every store was closed. He even offered to drive home to offer us what he had. Amazing service. Thank you for going beyond what was required- we really appreciated the assistance. The Hotel is in a very good location. Room size was perfect for two of us, the staff that we've spoken with was very helpful. The only problem we had was with the shower. We had a early flight and our the hot water in the shower was not working. the helpful young lady at the front desk! The proximity to city's dining out place; the layout of the apartment. The only thing we came across was that there was a king sized bed made up in the 2nd bedroom, and we needed two single beds. This was resolved by the lady at the front desk who came personally to pull the bed apart, and remake it into two beds. Thank you for the service! From the moment we arrived the staff were extremely attentive. They assisted with luggage at check-in and out, provided lots of information about both the hotel and the local attractions and even offered to give us a room with a different configuration if we thought the stairs in our loft style 2 bedroom apartment would be an issue with 3 small children. The room itself was clean, large and contained everything a family would need. The Quest apartments also offer cots and highchairs for babies free of charge which is a nice change. Overall we had a lovely stay in Launceston and wouldn't hesitate to recommend this hotel. Value for money, central location, friendly n heloful staff. Absolutely loved it. As we took an early flight to Launceston, we got there around 10 am and the staff prepared our room so we could check in early. Best part, no extra charges, now who does that. The quality of accommodation was another very impressive aspect, as a large family we were accommodate in 2 inter connecting rooms, each of them self sufficient with kitchen etc. In short, loved it, wish we could stay longer. 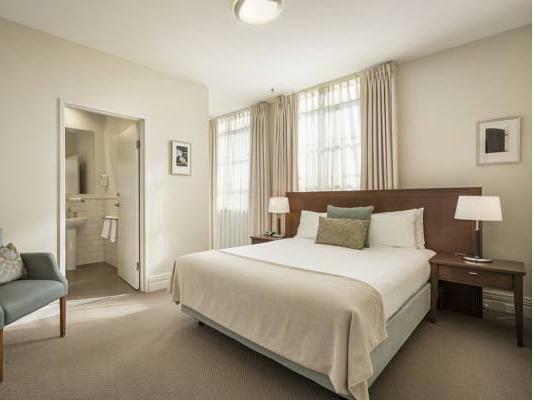 Great central location, good sized room with basic cooking facilities. everything is great except wifi is not very stable, but acceptable.